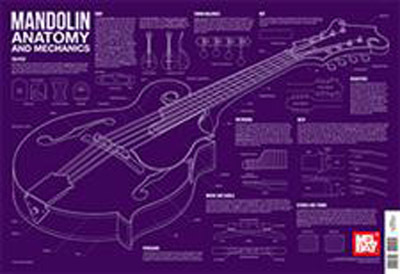 "Mandolin Anatomy and Mechanics" is a comprehensive visual map of the mandolin. The poster includes a large diagram of the instrument and detailed views of its components. Descriptions of all the major parts explain their functions. This poster is a great visual for anyone interested in the mandolin.